German TV talkmaster Ina Müller loves making clear statements. She wants Europe. 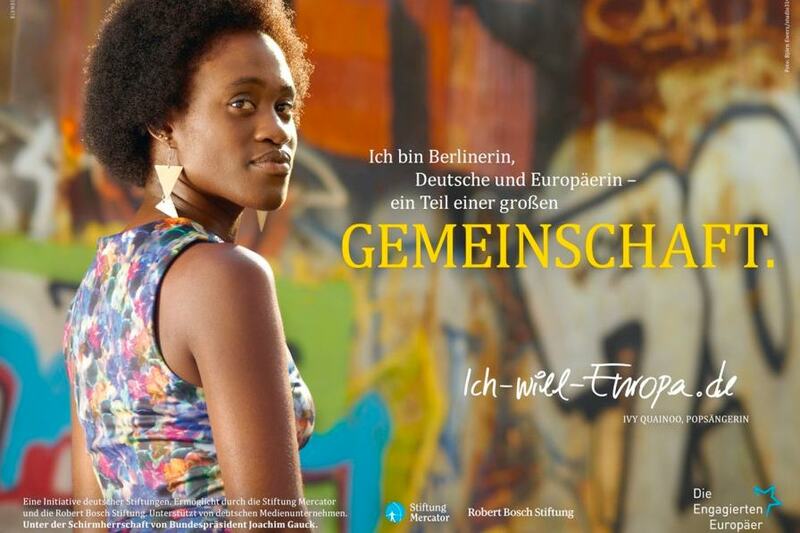 For German actress Bettina Zimmermann, Europe provides a multitude of possibilities, which she aims to retain for us all. 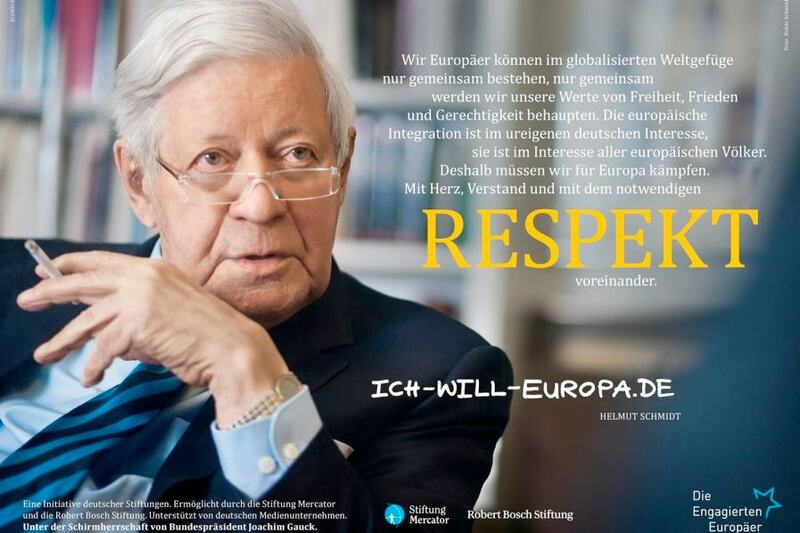 Former German Chancellor Helmut Schmidt recognizes dependencies and emphasizes the necessary respect when opting for Europe. 11 heavyweight foundations got together to launch the pro bono campaign “I want Europe” in a time of debt crisis and regulations, that so silently as suddenly stem from a bunch of bureaucrats in Belgium. I beg to Ziffer not only from a professional communications viewpoint. What do you mean, I want Europe? Isn’t Europe totally irrelevant? I have no idea and am imagining, that a lot of people feel this way. 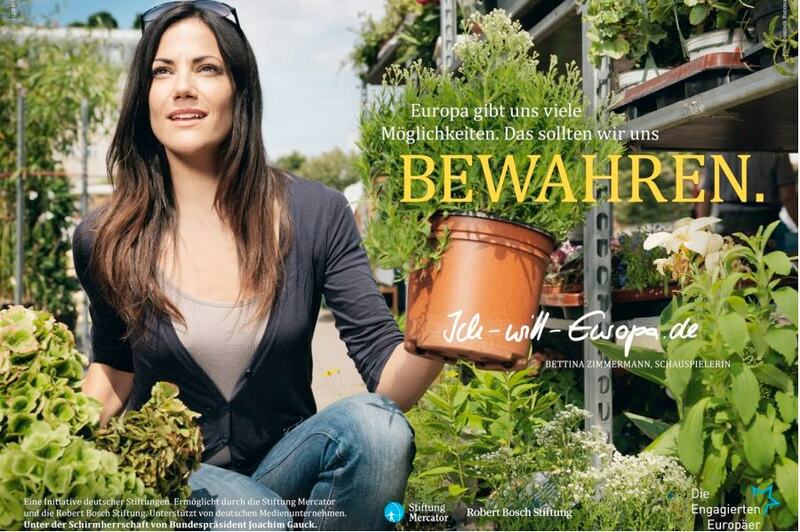 Does the campaign offer anything to make German Europeans move from indifference and suspicsiousness to involvement and glee? Remember there is no common language and no will to move about in Europe to wherever the providers may find work. For Alice McHardy Europe holds many question. It is gratifying to find the answers. Does the European community consist of Germans only or are there other nationalities involved? Should the European community hold a future, then because there is not other way and no alternative has become available – not because anyone would want Europe. 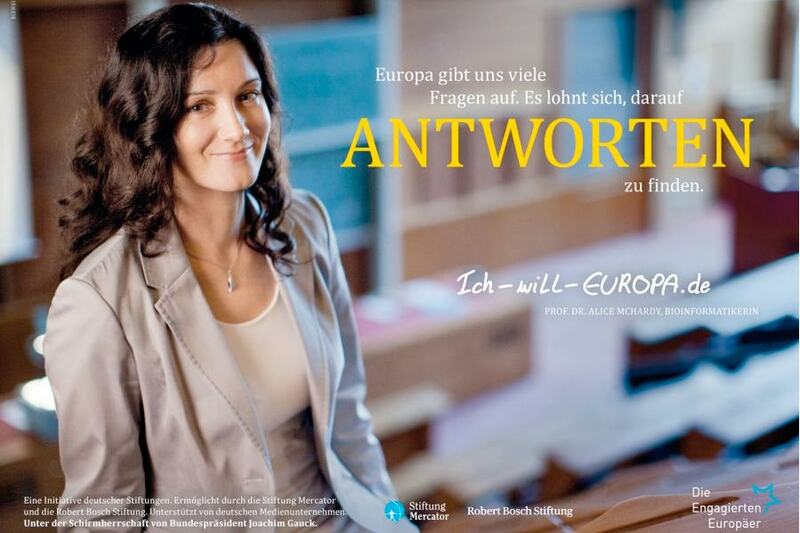 The lack of interest as the “I want Europe” campaign is making it apparent, not only indicates a lack in communication skills but a lack of interest in the European idea. More on the campaign by Alan Crawford. See Bloglevel real time status further up.